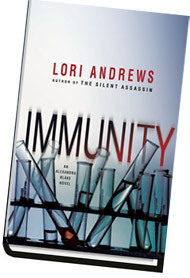 Lori is a lawyer with a literary bent and has the scientific chops to rival any CSI investigator." I've spent the past few years on a exciting project -- creating a Social Network Constitution and writing a book about it! You can read all about it on www.socialnetworkconstitution.com. I traveled across the country and the world, interviewing people who use social networks to expand their opportunities and enrich their lives. I also found people whose lives, relationships, and careers have been ruined based on social network posts. 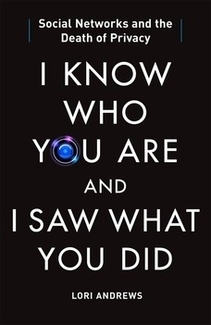 How can you protect the privacy of your digital self? My new book shows how you can fight back when what you post on social networks is used against you. I need your help to ignite a battle for further protections, from a right to connect to a right to privacy. Please vote on the Social Network Constitution. And I’d love to hear from you on Facebook. You can order the book on Amazon.com, Barnes and Noble, and Booksense.com. "Andrews, a real-life authority on genetics, spikes the chills with a talking DNA computer named Sam and insights into hot-button Native American issues." The book took Lori to Vietnam and prompted her op ed in The New York Times. Like its predecessor, SEQUENCE, it’s being translated into languages around the world, including Dutch, German, and Japanese. 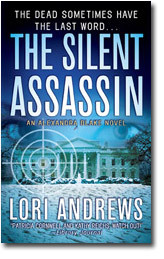 THE SILENT ASSASSIN is a tour-de-force thriller combining the intricate details of forensic science with the dark side of Washington politics and one of the freshest and most original characters in crime fiction today. “Patricia Cornwell and Kathy Reichs, watch out!" “Moving from the White House to a remote village in Vietnam, Andrews’ second series book is an outstanding thriller. Geneticist Alexandra Blake has as many sharp angles as soft edges. She’s a scientist with a heart—and a scalpel brain. Andrews’ tale deftly tackles international intrigue, violence and the murky world of political ambition." Lori’s legal work continues to pull her into mysteries involving genetic testing of historic figures (covered in PARADE Magazine), cutting edge artists who use genetics in their work, and advising government agencies around the world—including the National Cancer Institute—about sperm donation, in vitro fertilization, genetics, and human research. 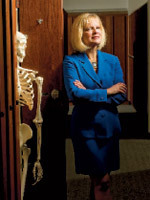 READ ABOUT LORI'S LATEST ADVENTURES IN CHICAGO BUSINESS WEEK (PDF). Lori's been on them all. "SEQUENCE is a marvelous, whip-smart thriller with a twist—a double helix sort of twist, that is. In Alexandra Blake, a brilliant and resolute D.C. geneticist with a taste for old cars and major commitment issues, Andrews has given us a protagonist who already feels like an old friend. Here’s hoping she’s with us for a long, long time." Please send Lori your name, birthday month and date (year not necessary) and email address. All content © 2009-2011 by Lori Andrews.